If color and style are not that crucial and saving money is a higher priority, than you are in the right place!!! The items below are at cost or even below cost in some cases. Periodically we have overruns in the course of manufacturing the variety of items we produce. These can also result from things like changes in an order after production, items not claimed, canceled orders, closeouts etc. All of the merchandise below is first quality! NOT mistakes or seconds. The items below and pricing relative to them are only good while supplies last. They are offered on a first come, first serve basis. This page has been designed for simplicity with pricing and all related information on one page. Most all items below have a MINIMUM order of 6 pieces per item!!! 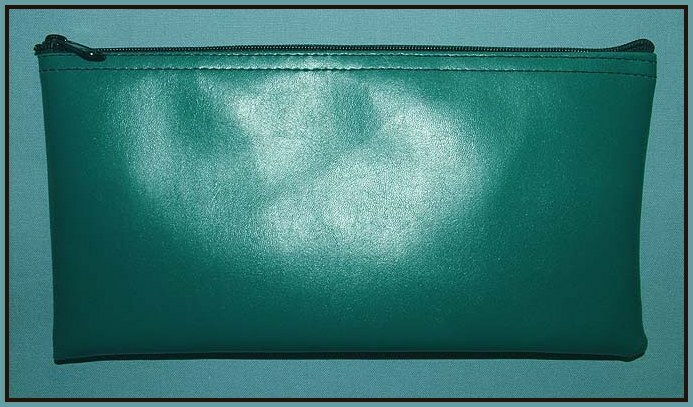 This TEAL zipper wallet style bag above is great for storing smaller items like pens/pencils/markers, coupons, cash or whatever. They are made from expanded fabric backed vinyl. The measurements below are given width ( zipper edge ) and height - up and down ( top to bottom ). 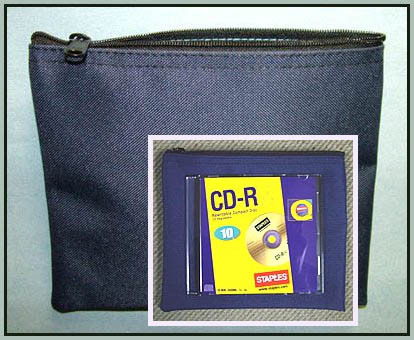 This style bag is commonly used for inter-office mail. It is extremely durable, lightweight and reusable. It is see-through mesh which gives it an obvious advantage over a solid bag. The uses and applications for this style bag are practically unlimited! It is a great non-locking courier bag for transportation of documents, papers and lightweight items. It is also wonderful for general storage of items being you can see what the contents of the bag is without having to open it up. It is made from a polyester mesh with a smooth sliding nylon coil zipper. 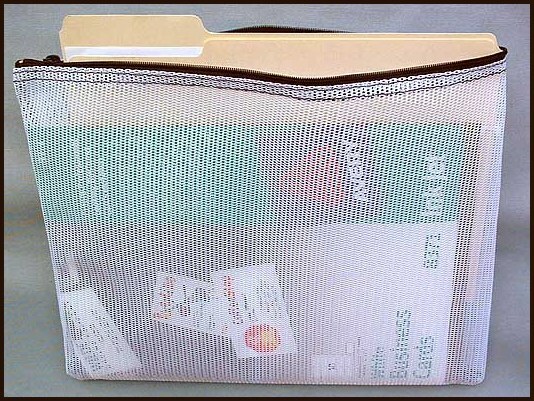 It is wide enough on the top edge to easily fit a standard size file folder and expands wide enough to hold hundreds of pages as the picture here demonstrates. 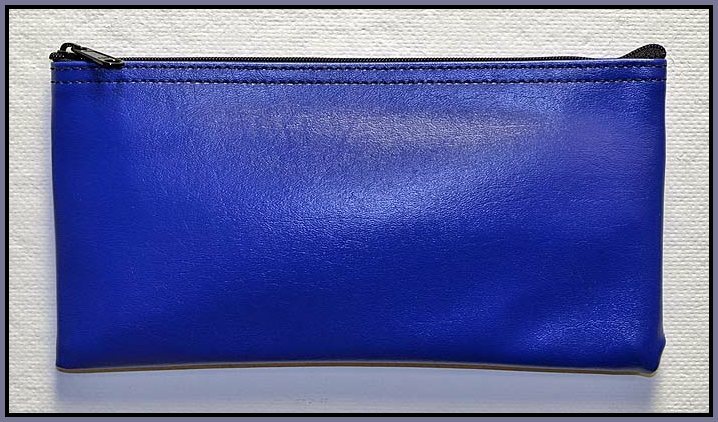 The bag measures approximately 11-1/2 inches high by 14 inches wide. Color: WHITE ONLY! BE SURE TO SCROLL DOWN!!! 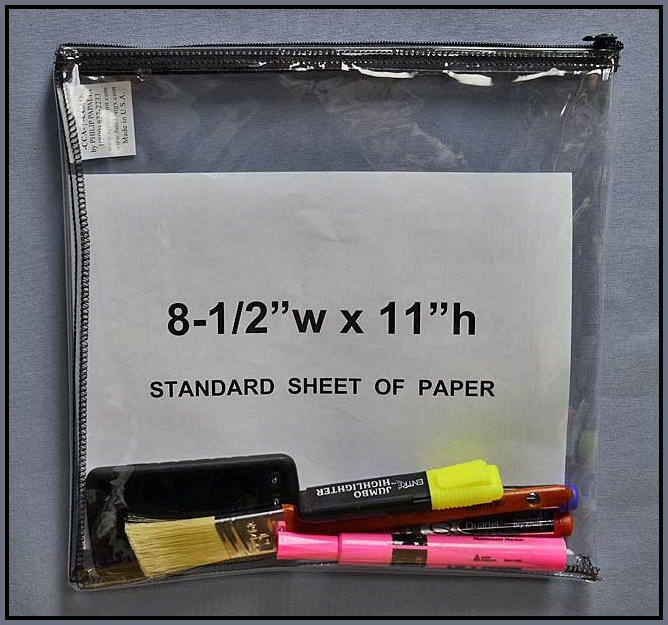 These 3 bags are great as document portfolio bags for inner/outer mail transportation or just plain storage bags for larger items - papers - manuals, etc. 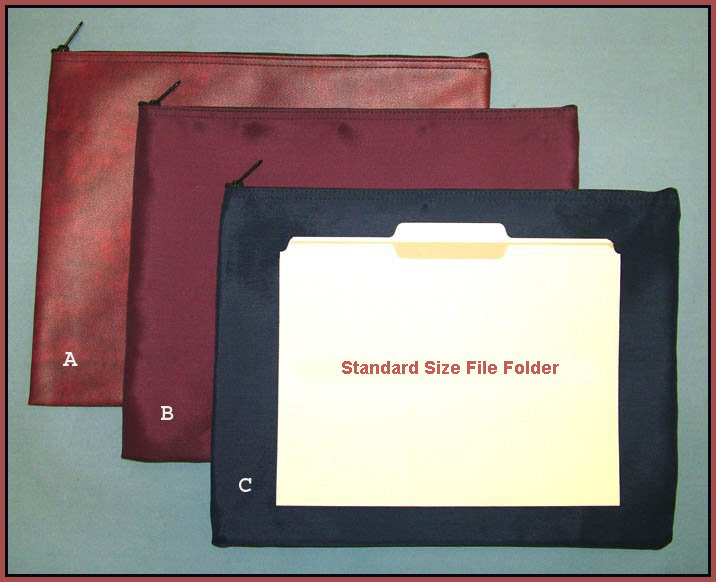 We have placed a standard file folder ( one used for 8-12 x 11 paper ) on top of bag C to serve as a size reference point. The all have nylon coil zippers that open on top edge of bags. The measurements below are given width ( zipper edge ) and height - up and down ( top to bottom ). 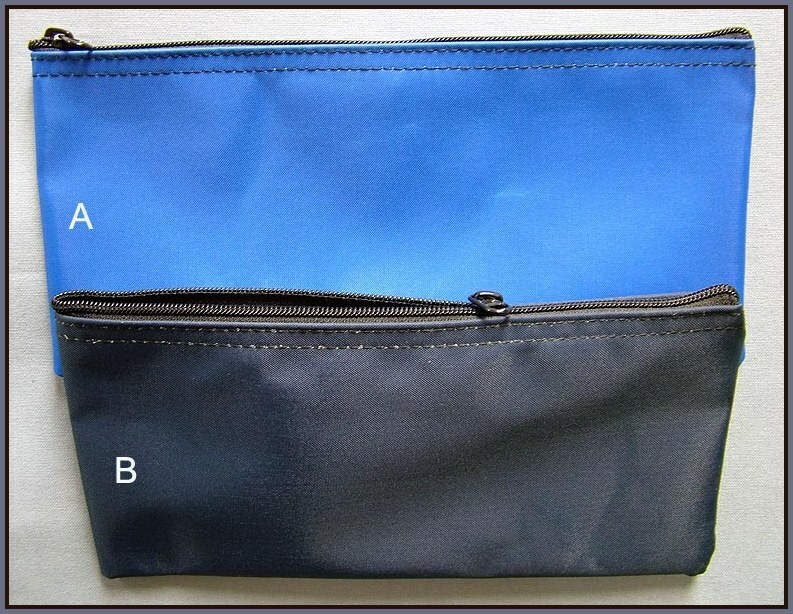 These 2 zipper wallet style bags above are great for storing smaller items like pens/pencils/markers, coupons, cash or whatever. They are made from VERY DURABLE laminated nylon. The measurements below are given width ( zipper edge ) and height - up and down ( top to bottom ). ( zipper edge ) and height - up and down ( top to bottom ). The bags above are made from expanded vinyl. They measure 12 inches wdie by 8 inches high. The are great for storing and organizing whatever items that you wish to place inside. We have about 15 bags in each of the for colors. 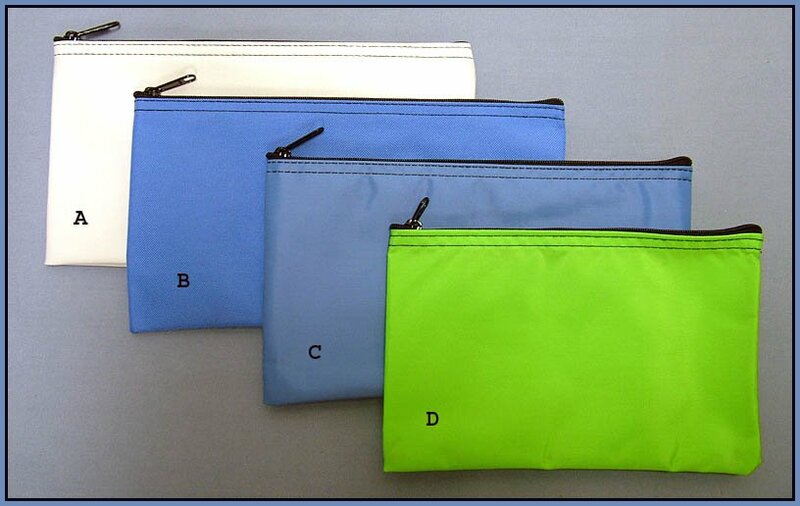 These bags are made from a very durable laminated nylon. The nylon coil zipper at the top opens from left to right across the front face of the bag approximately 1 inch down from the top edge of the bag. 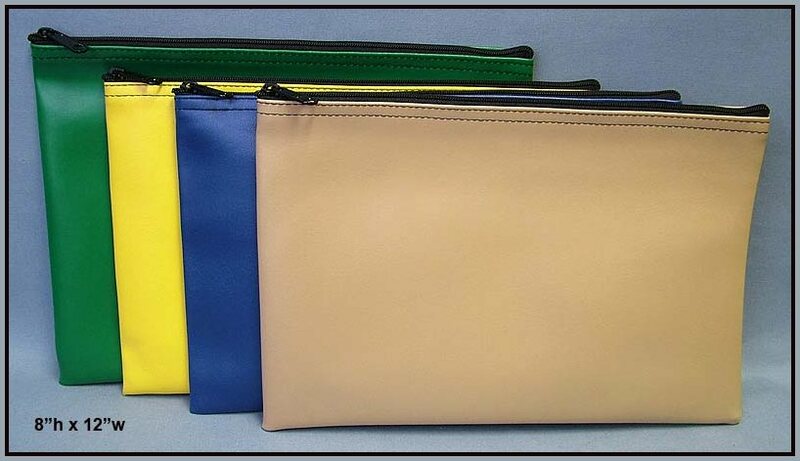 The bag measures approximately 6-1/2 inches wide by 8-1/2 inches tall. It has a heavy duty snap/clip sewn off the top edge. This can be attached to a belt loop or anywhere applicable. It is an ideal bag for golfers to carry golf balls. 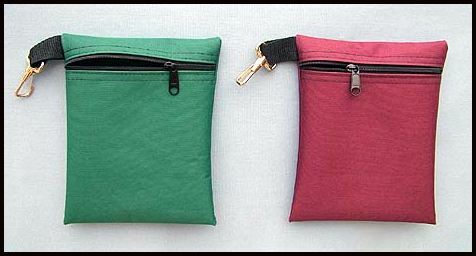 It is also great as a small purse/pouch to carry things like cellular phone and other small items. 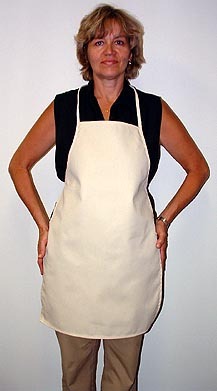 This is a square corner bib style apron without pockets. It is made from 7.5 oz cotton/poly blend. 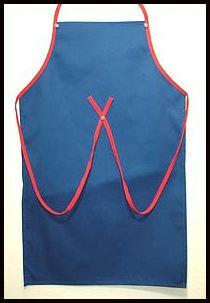 This apron is an ideal promotional apron. It has a large uninterrupted area for embroidery or screen printing. 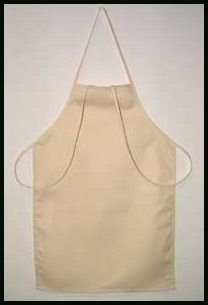 It measures approximately 28 inches high by 18 1/2 inches wide with a one piece neck strap. Color: ECRU ( cream - off white ) & BLUE w/red ONLY! SUPER BARGAIN !! SUPER BARGAIN !!! This is a HUNTER GREEN laminated nylon bag that is very rugged and has been used in the banking business for years because of its durability. It can be used for many applications for storing and organizing money, papers or any small items that you wish to tranport or for general storage. 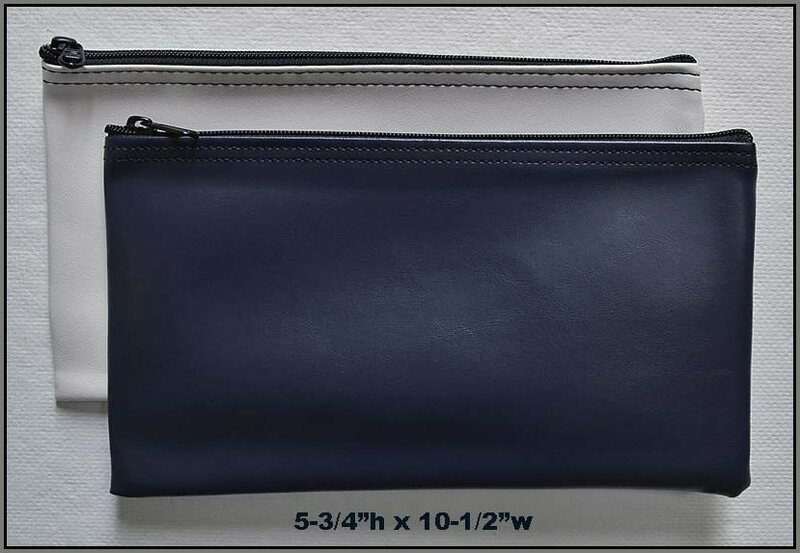 This WEDGEWOOD/ROYAL BLUE zipper wallet style bag above is great for storing smaller items like pens/pencils/markers, coupons, cash or whatever. They are made from expanded fabric backed vinyl. The measurements below are given width ( zipper edge ) and height - up and down ( top to bottom ). These clear vinyl bags are great for storing smaller items like pens/pencils/markers, coupons, or whatever where looking through the bag would be a great advantage! 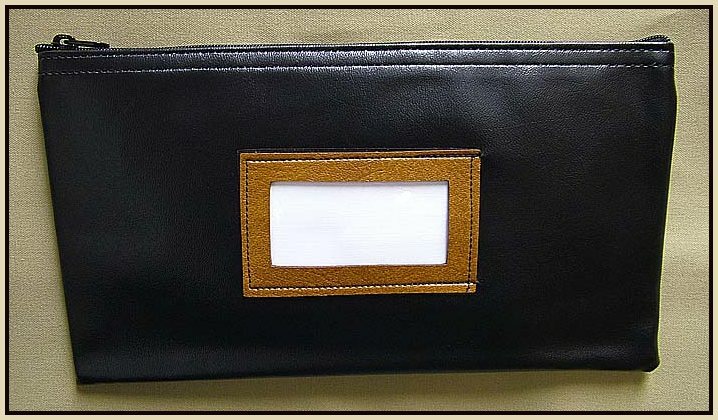 These can be used for security reasons where you may give these to persons or employees to keep their personal items inside but someone could easily view the contents without handling every item. You can also store documents inside which the picture above demonstrates. Uses for these style bags are endless!!!!! 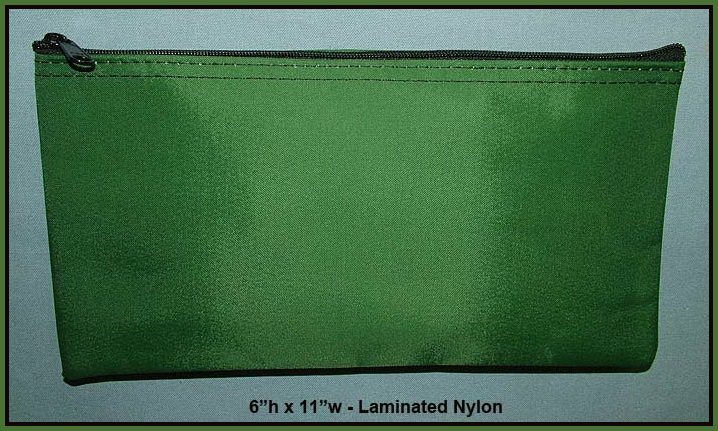 These expanded vinyl zipper wallets measure approximately 5-3/4" high by 10-1/2" wide. These like all of our bags have endless uses! The most common bag this style is 6"h x 11"w and these are just a tad smaller. They are an overrun from a larger order.